Several fun games based on Bill the Boy Wonder: The Secret Co-Creator of Batman are at the official site (including curriculum guide) for the book (watch out for those many unofficial sites). Below are two more. For the first one, you need your friends. The second one you can do solo. Race your friends! Which of you will be the first to find every item below in Bill the Boy Wonder? 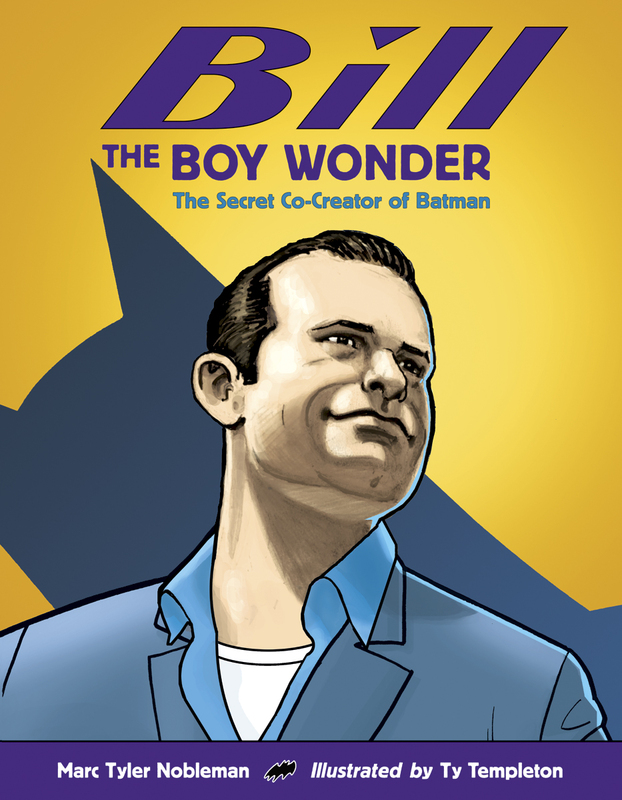 For most of Bill Finger’s career, his fans did not know he existed. How could this be? His name was not in Batman comic books. In this game, however, it is—sometimes. In the jumbles below, can you find the words “Bill Finger” within the words “Batman comic book” with no missing letters? Your turn! Is “Bill Finger” in any of these “Batman comic books”?